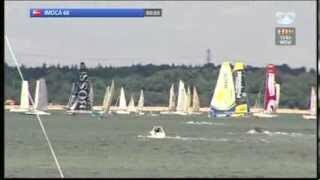 The final review of the Rolex Fastnet Race 2013 - considered a great success all round in it's new venue with great competition and French father and son Corinthian winners of the overall prize. The father and son team from Cherbourg, France sailing the JPK 1010 Night n Day have won the overall Fastnet Challenge Trophy on handicap, some 33 minutes ahead on corrected time of another JPK 1010 Foggy Dew in second. This is the first time in the Rolex Fastnet Race's 88 year history that a two-handed entry has won. 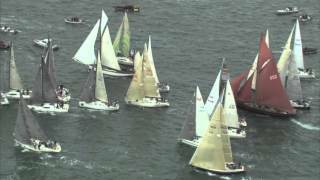 Rolex Fastnet Race 2013 - the start of the 69 strong third largest class, IRC 3 including the two handed entries and the majority of the J boats name that dominate the fleet. The second largest of the 335 strong fleet, IRC 2 include 15 First 40.7s. Mike Slades Icap Leopard, tussling for line honours with the two mini maxis Bella Mente from the USA and Niklas Zennstrom's RAN, the two times Fastnet Trophy winner. 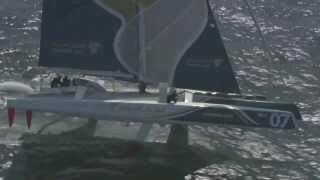 Or will it be Ian Walker's Volvo 70 Abu Dhabi, the course record holder from 2011? Next but last class away, the graceful IRC 1 fleet has one of the oldest competitors, Piet de Vroon, his 25th Fastnet as skipper, aged 83. 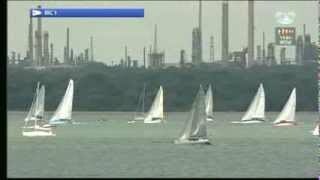 The largest class in the 246 strong fleet, 83 boats make up the IRC Class 4 start. 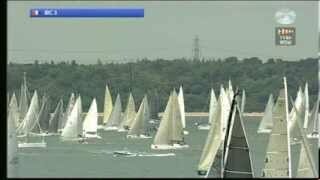 Third away in this year's Rolex Fastnet Race 2013 on Sunday 11th August. 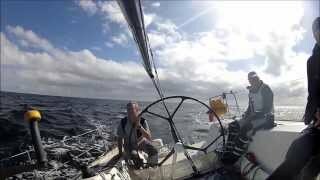 The second start of the Rolex Fastnet 2013 - the Imoca 60s, including Macif sailed by 30 year old Francois Gabart the recent winner of the Vendee Globe single handed round the world race. 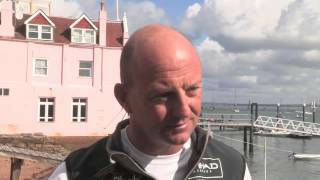 Ian Walker, skipper of the Volvo 70 Abu Dhabi, on entering the Rolex Fastnet race 2013 to defend their record from 2011. 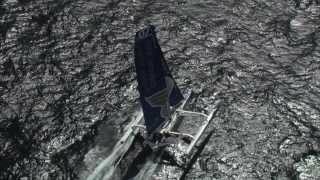 Oman Air Musandam MOD 70 is the first Omani yacht to take part in the Rolex Fastnet Race. 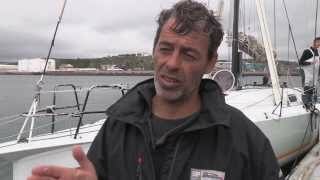 Round the world sailors, Damian Foxall and Dee Caffari talk about the iconic race around the Fastnet Rock. 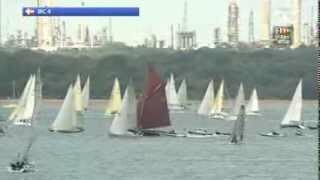 The start of the 2013 Rolex Fastnet Race with helicopter footage and commentary. La Reponse, the First 40 of the RORC's admiral, competing in IRC class 2. 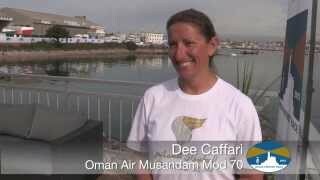 The MOD 70 Oman Air Musandam finished in the early hours of Tuesday morning. 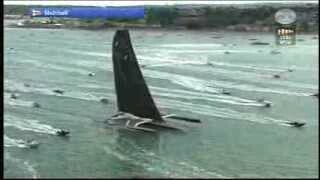 The 7 times round the world sailor was happy to be in within an hour of the line honours Spindrift 2, a multihull twice their size. Mike Slade's Icap leopard and the Volvo 70 women's Team SCA on their first day at sea in the Rolex Fastnet Race. 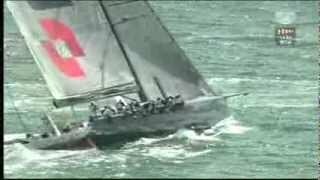 The first race for the new women's team for the next Volvo Ocean race, Team SCA, led the other Volvo 70 Abu Dhabi Racing for most of the race. The cream of women's sailing is represented here. The Frenchman's own build Mach 45 with it's deep twin daggerboards and canting keel, the smallest in this big boat dominated class.